Visit our farm store for an impressive selection of homemade preserves. Ranging from pickles to jams to chutney and salsas. There is something for everyone. Throughout the year we will be periodically sampling all of our products! So don't be shy to ask to sample anything of our canned goods! All of our preserves are made in house, using the best quality ingredients. Many of our vegetables are grown right on the farm, whereas other ingredients are sourced locally! Read our product labels to see how simple and pure our products really are! All ingredients and no preservatives! 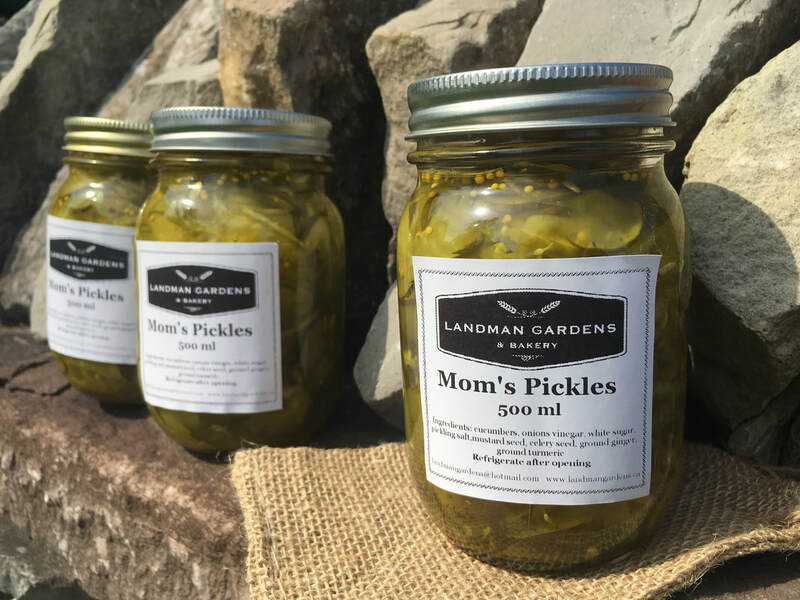 Visit our farm store to see all of the other local products that we carry. We selectively choose the best quality local products to round out our farm store selection. Refreshing ciders, both sparkling and fresh by Spirit Tree Cidery in Caledon, Ontario. Three varieties of crackers from Barrie's Asparagus Farm in Cambridge, Ontario. Our newest seasonal product is Maple Tree Filtered Water by Sapsucker in Flesherton, Ontario. We also carry several flavours of honey from Cedarwood Honey, in Harriston, Ontario.